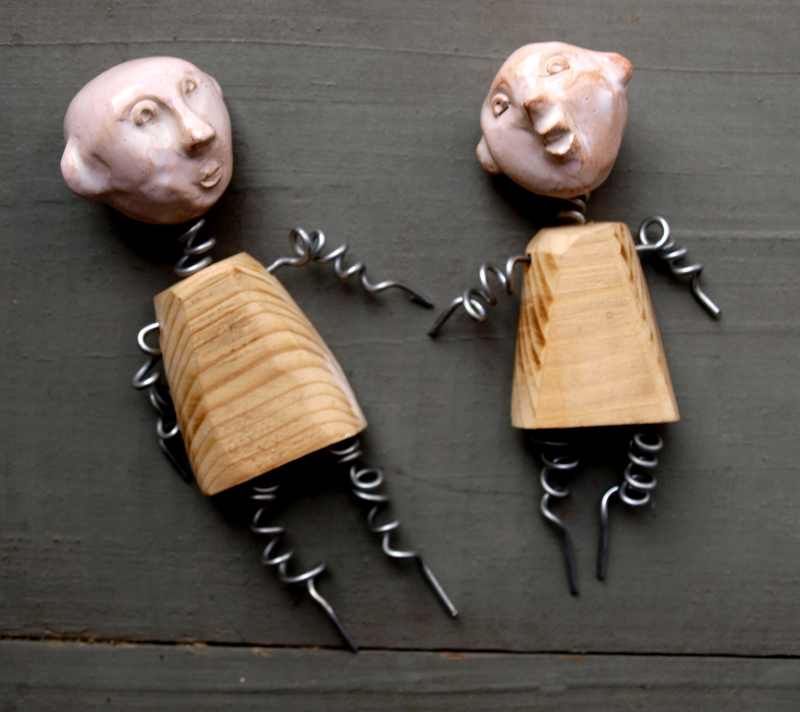 These two wire sculptures are super adorable. 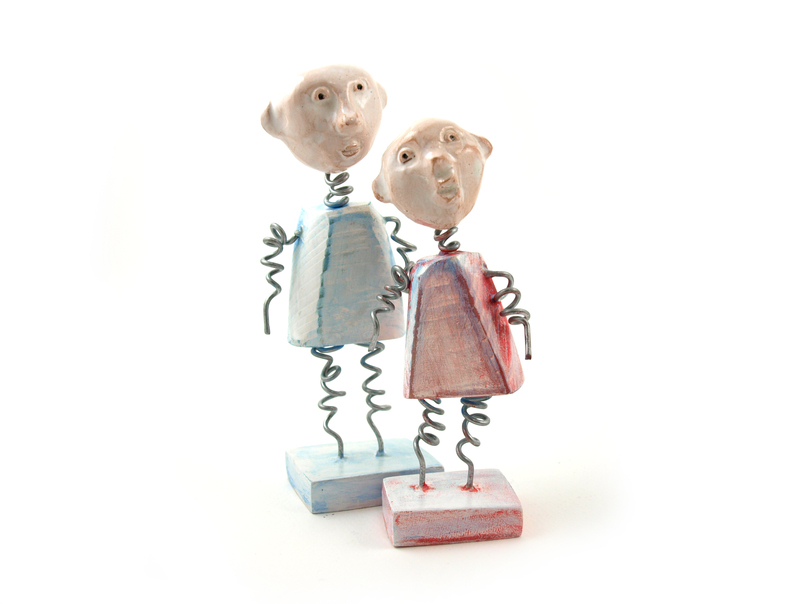 She is red/pink, he is white/blue and they are perfect for each other. She’s even a tad shorter than him. They look happy together and have love in their tiny eyes. 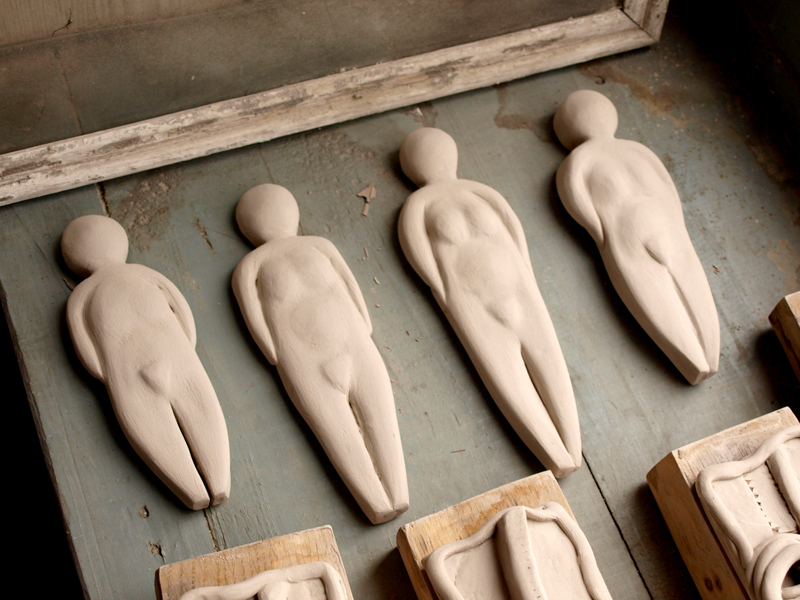 These two mini sculptures are both made of white clay for the heads, wood for the bodies and bases and metal wire for the necks, arms and legs. They are sooo cute and tiny, and fragile and gentle, and light and sweet, and the perfect centerpiece in your bedroom or a gorgeous gift for your loved one. 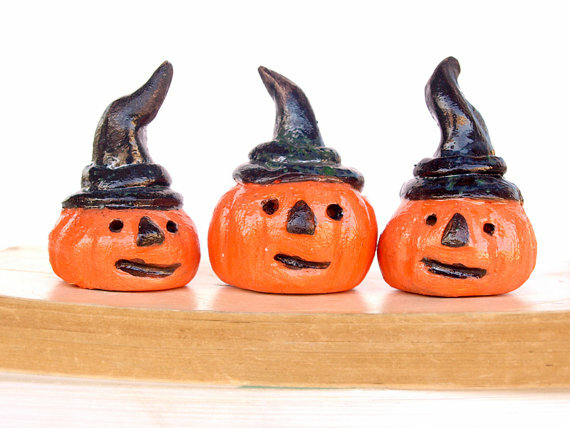 These are a set of three hand-sculptured lovely miniature pumpkins for your Halloween or Thanksgiving home décor, made from white clay and glazed with orange and black glazes… They can be a great Halloween decoration on your dining table, desk, shelf or window sill, or simply a scary good gift. You can arrange them in various combinations or have fun with them at your work place.